The Festibook aims to be the festivalgoer’s bible and to extend this new way of experiencing live music beyond the festival. This notebook is, on the one hand, a calendar to keep track of all the festivals and, at the same time, a diary that is born to make visible each one of the memories and emotions experienced inside and outside the venue. 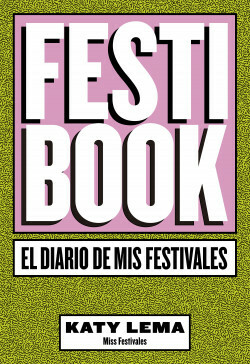 In it you can write down the best and the worst of each festival, as well as confess secrets and anecdotes related to the experience. The first guide to festivals that allows the reader to interact through tests, festival games, pages to complete and even the creation of the ideal festival. With pocket for bracelets, tokens and festival entrance tickets. The only guide that allows you to design your own music festival.